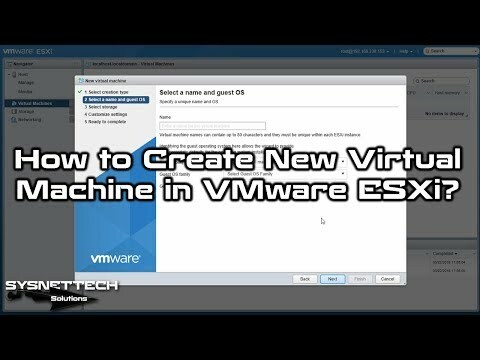 This video shows you how to create a new virtual machine on vSphere 6.7U2 installed on VMware Workstation 14/15 Pro. Step 1: If you did not install vSphere 6.7U2, please refer to the following video. Step 2: After installing it, click Virtual Machines to create a new VM. Step 3: Then click on Create / Register VM. Step 4: In the VM window, select Create a new VM and click Next. Step 5: Specify the operating system name and version. Step 6: Select the HDD you want to install the VM in the Storage section. Step 7: In the Customize Settings window, configure the settings you want to change. Step 8: Click the Finish button to close the window. Step 9: PYou can start the installation by adding an operating system image file to the VM you created on the server.